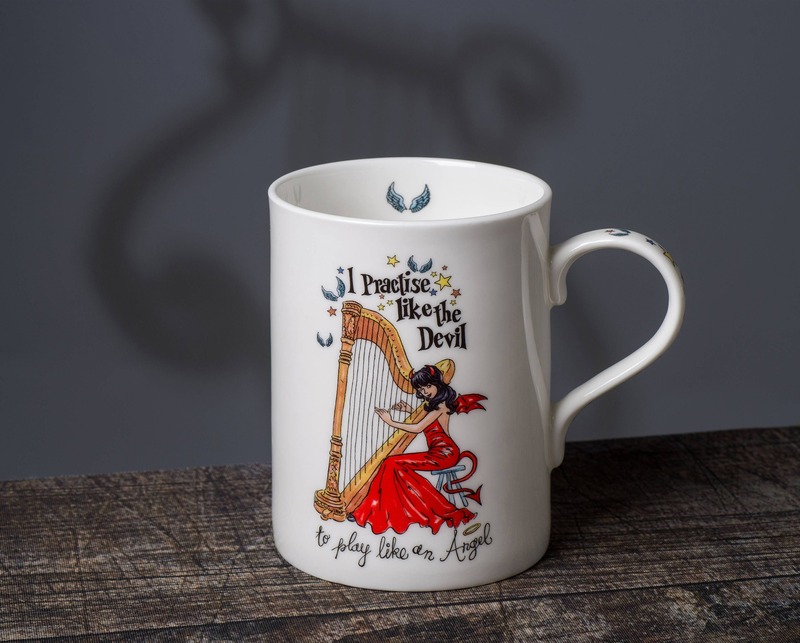 "I Practise like the Devil to play like an Angel " - Stunning Harp themed gift mugs, made from fine bone China in Staffordshire, England, the home of exquisite, quality china. 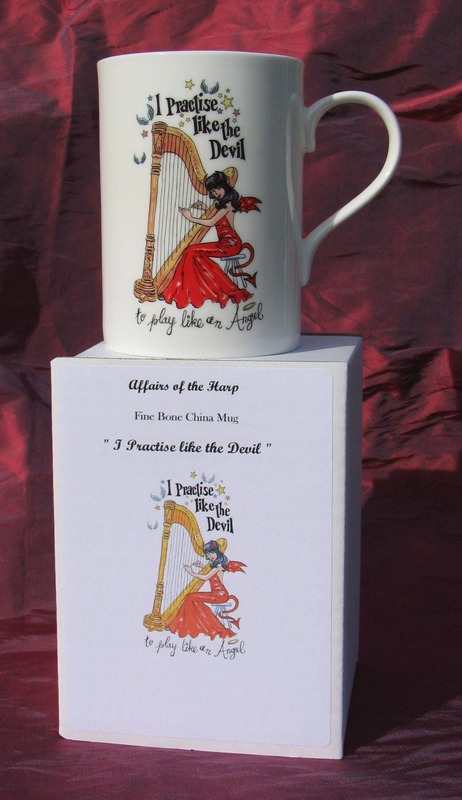 Beautiful art work, specially commissioned from an award winning artist for "Affairs of the Harp", my online store specialising in harp themed goods- making these mugs unique. 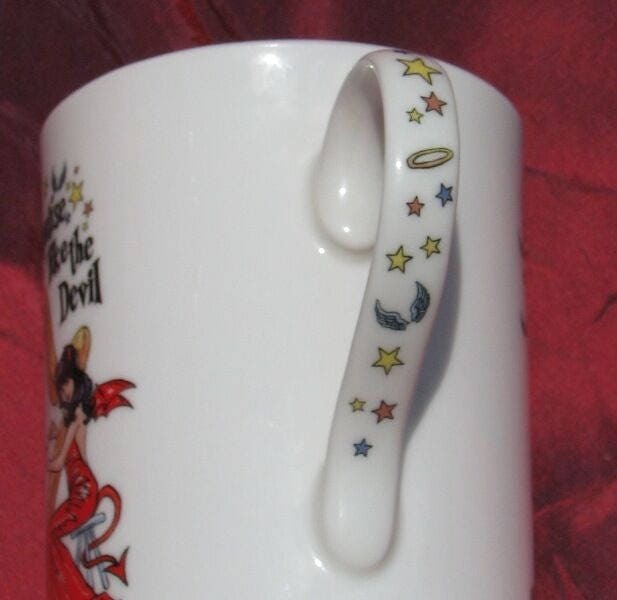 As well as the lovely image on the mug itself, there is the added feature of a decorated handle and a small finishing touch of decoration of angel's wings inside the mug's rim. All musicians have to practise, practise, practise and here is a witty depiction of the famous saying to add fun to the hard work ! 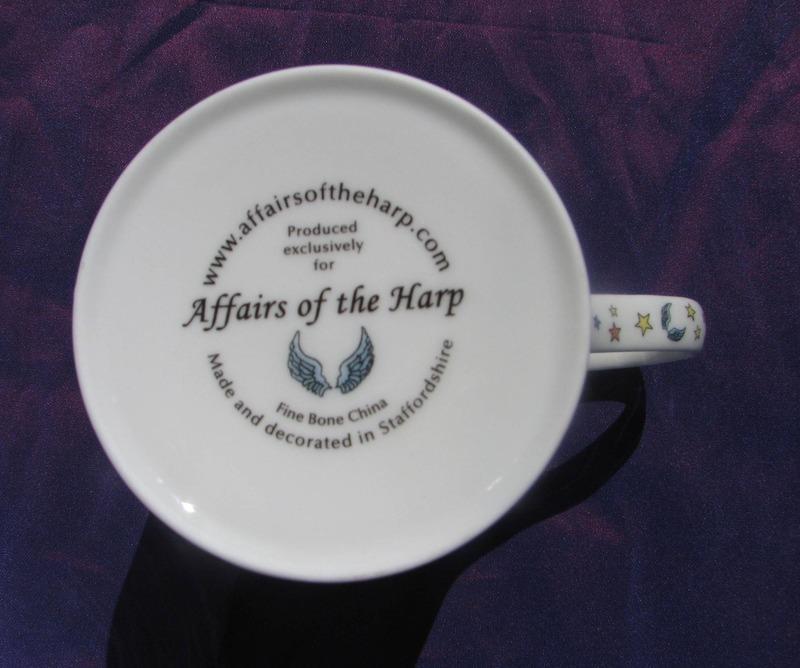 Perfect gifts for family, friends or yourself! 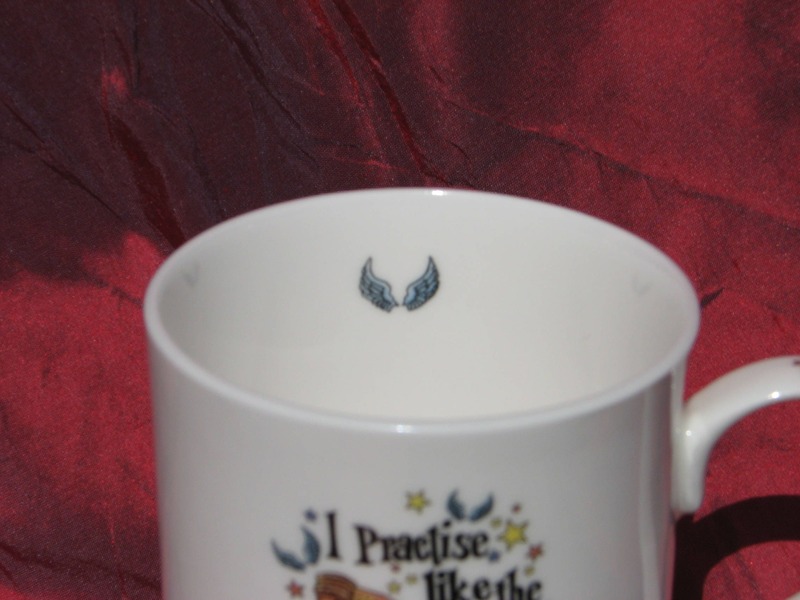 After all, tea or coffee always tastes better when drunk from a fine bone china mug ! 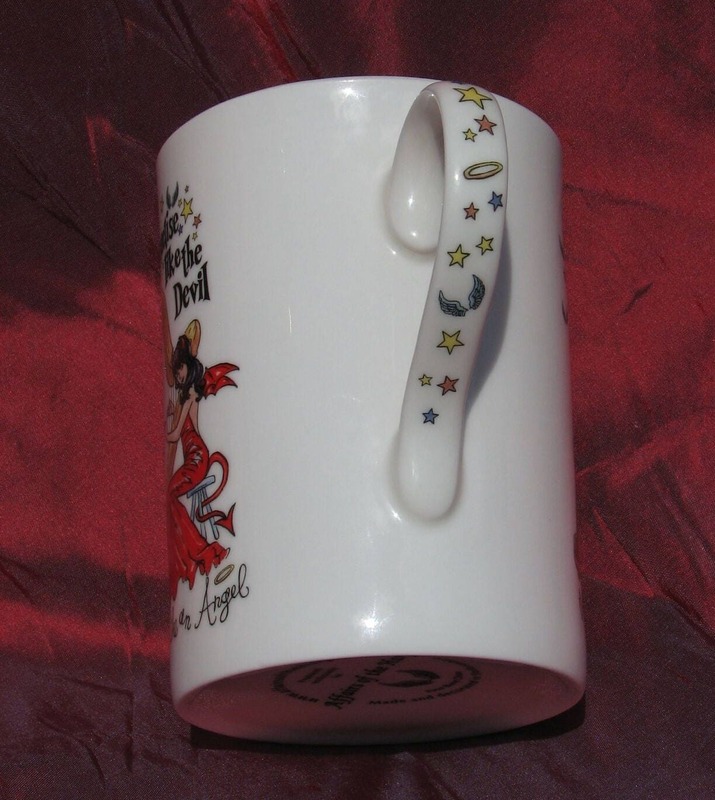 Each mug stands 11 cms high and holds 12 fl oz. and comes in its own gift box- safely protected for postage! 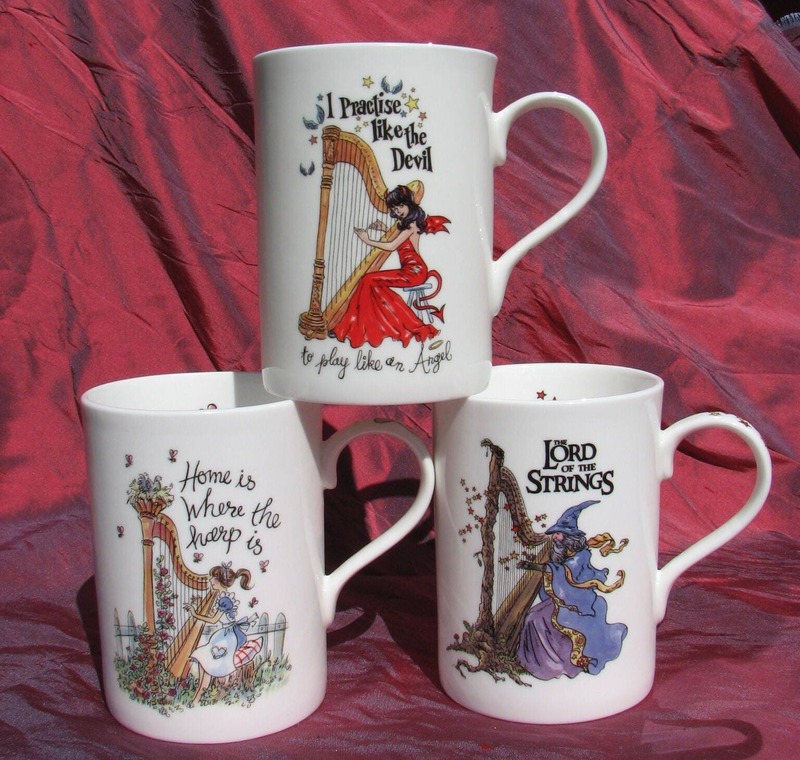 Buy them as individual mugs or buy the set of "Home is Where the Harp Is". 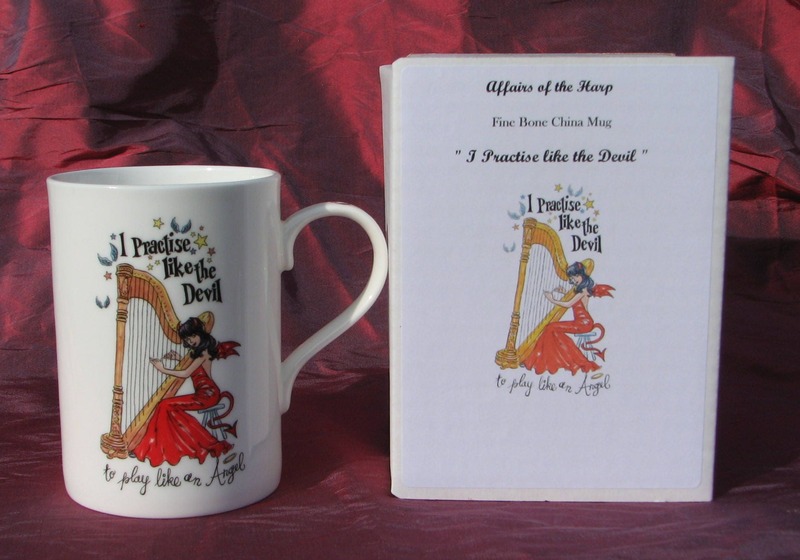 "I Practise Like the Devil to Play like an Angel " and "Lord of the Strings "
This shop does everything right!